New Year’s celebrations have finally died down, and we’re fully into the swing of 2019! However, if you’ve still got a spark of celebration left in you, there’s another festive occasion heading your way. The Lunar New Year will be marked this year on Feb. 5. 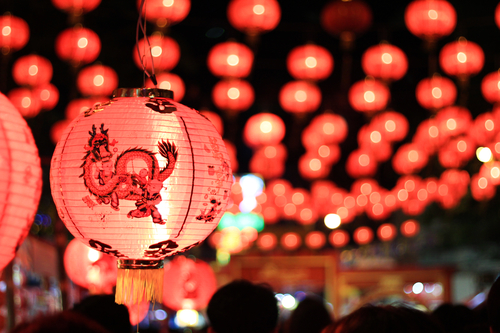 The global holiday celebrates Asian culture and marks the start of the traditional Asian calendar year. Chinese communities around the world honor the occasion in a variety of ways—from festivals to family gatherings. Common in most festivities is one element that people of all cultural backgrounds can appreciate—food! If you want to honor the Lunar New Year in your own way, use the occasion to check out one of the many restaurants near your Canvas Valley Forge apartment serving up authentic Chinese dishes—to get a taste of Chinese culture and its unparalleled culinary creations! Locally, one of the standout Chinese eateries is Lotus Inn, about three miles from your Canvas Valley Forge apartment. The restaurant takes a well-rounded approach to its menu, with traditional Chinese dishes alongside Japanese recipes, Thai-influenced items and more. To celebrate the New Year, Lotus offers an impressive eight-course menu featuring all of its favorites for $35 a person, as well as traditional Chinese dance and other cultural celebrations. If you opt for the regular menu, the number of options available to diners will have you poring over the menu for quite some time before giving your order! For instance, Lotus offers 10 distinctive soups—from traditional Wonton to Thai-style coconut soup with chicken. The appetizer selections are equally vast and also include a handful of “chef’s special” apps for diners who really want to indulge on such options as shrimp-stuffed crab claws or steamed mussels. Seafood lovers will have a tough time choosing between all of the entrees, while there are also plenty of items for carnivores and vegetarians alike. Sushi lovers will feel right at home with Lotus’ full sushi bar—featuring dozens of different types of rolls and full sushi dinners. Between its cuisine and its cultural celebrations, Lotus Inn offers locals an authentic taste of the Asian holiday!